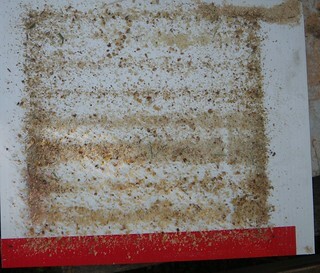 I wanted to make a screened bottom board to facilitate mite monitoring and sugar dusting. I also wanted a bottom board design that allowed more space under the hive for winter. My main motivation for designing this variation of the screened bottom board is so I can clean out dead winter bees with greater ease, and worry less about the bottom entrance getting clogged up with dead bees. A framed screen was created by gluing together a sandwich of 1/8 inch hardware cloth and wooden slats. Tips. If you can find it, use stainless steel hardware cloth as it will hold up better to any formic acid exposure that may happen while performing mite treatments. Of course, If all you can find is galvanized, removing the screen during treatments is an option. Rabbets were cut into the side walls of the bottom board structure to support the screen. 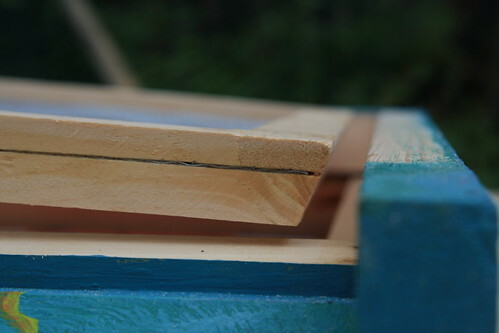 Inspired by the concepts in Walt Wright's propolis Article, a slight bevel was cut into the sides of the framed screen in the hopes of minimizing the accumulation of propolis between it and the frame rest. Blocks the area containing the screen and the space above it. Is hinged to the top piece for the purpose of allowing easy access to the tray when performing mite counts. When closed, it prevents bees, mice and wasps. from accessing the area between the screen and the tray. Caution. Distance between the screen and the tray is two inches to reduce the possibility of varroa climbing back up into the hive. I've seen references to 1 and 5/8 inches being sufficient, but some say to use two inches. I decided to play it safe. 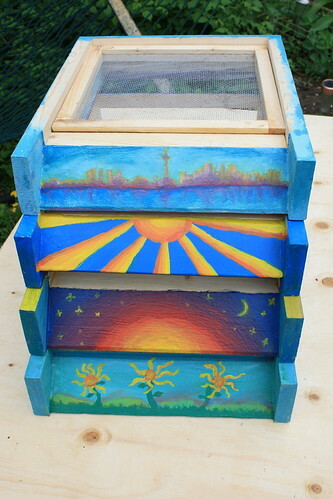 The concept is that during the fall, when winterizing the hive, the screened frame can be removed from the bottom board while all the hive boxes remain in place. 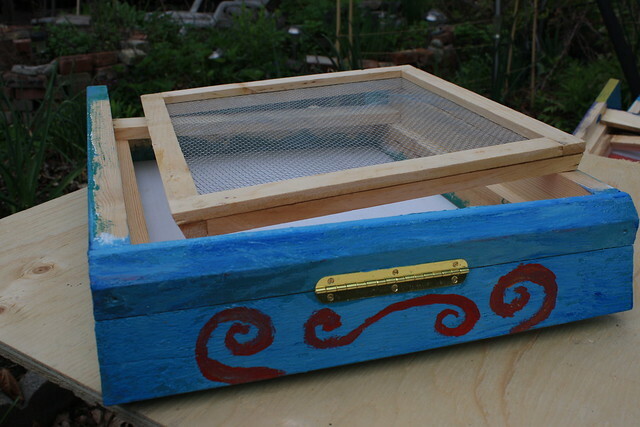 My hope is that the screened frame can be pried up from the area inside the hinged flap in order to loosen any propolis. The top portion on the bottom board's back can then be unscrewed and removed to allow the framed screen to slide out. 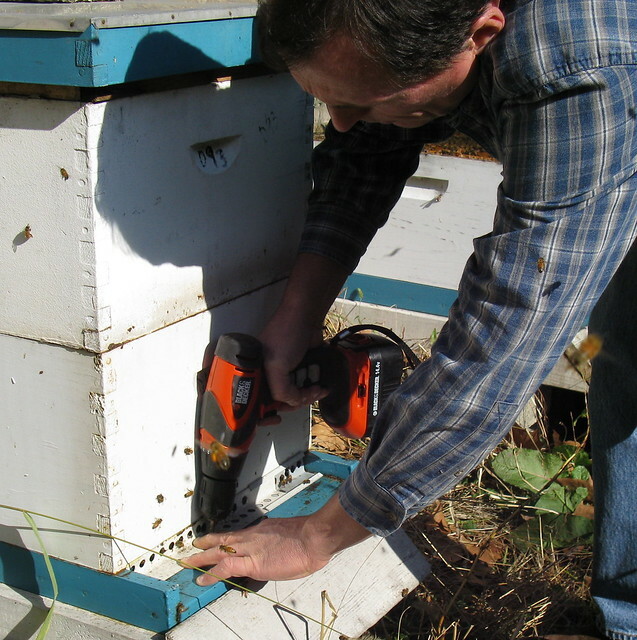 Thus converting the hive to a simple solid bottom board. 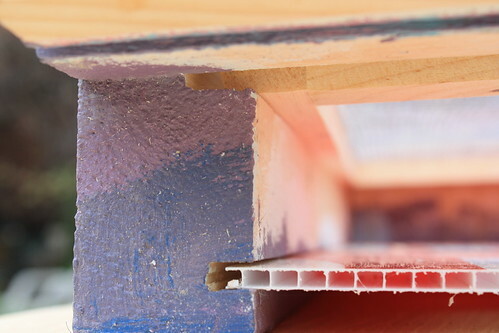 The tray is just a simple piece of corflute that slides into a groove in the side walls. I run eight frames to a box. 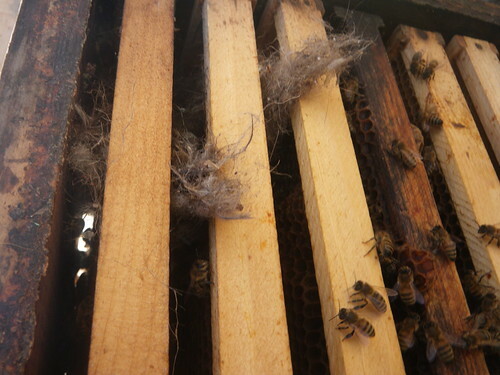 The above photo shows the screened area is large enough to allow debris and varroa to fall through from spaces between and around all eight combs. 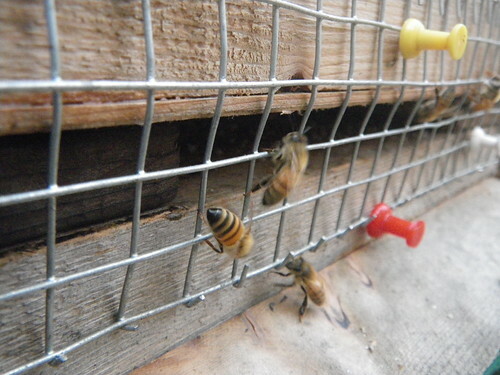 The framed screen extends above the height of the landing board so that entrance reducers are prevented from being pushed too far back into the hive. In the winter, when the screen is removed, the entrance becomes taller. changing from 14mm to 21mm tall. Note: A 14mm entrance height on my modified warré hives works out to a total entrance area around 40cm2. That's about three times the entrance area preferred by swarms looking for a home in the wild, however, 40cm2 is roughly equivalent to the entrance area found on a langstroth hive using a 3/8" high opening. Perhaps the large difference in feral vs managed entrances is based on the fact that it's not unusual for managed hives to reach a volume that is three times greater than that of the typical colony in a tree cavity? As my intended mouse guard is just a piece of hardware cloth wedged into the entrance, I suspect the 21mm tall winter opening will allow the bees more room to navigate the tiny gaps of the hardware cloth. The above photo shows a stack of the first four entrances I built. 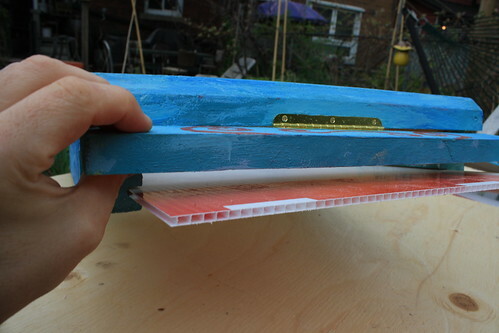 I painted each landing board with a unique visual pattern in the hopes that it would help the bees in recognizing their own hive and therefore reduce the drifting of bees between different hives. This was inspired by the concepts discussed in Tautz's book The Buzz about Bees: Biology of a Superorganism. 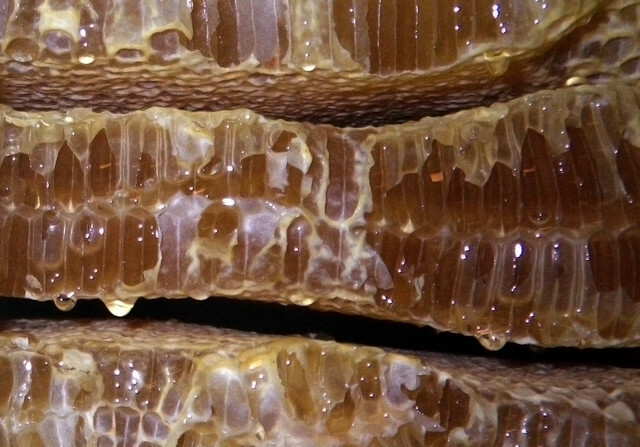 The idea is that unique patterns are more useful to bees than simply painting each hive a different solid colour. The framed screens may also be used to serve other purposes. For example, if I want to over-winter a weaker hive stacked on top of another colony, I can place the framed screens from both colonies between each other like one might ordinarily do with a double-screen board. 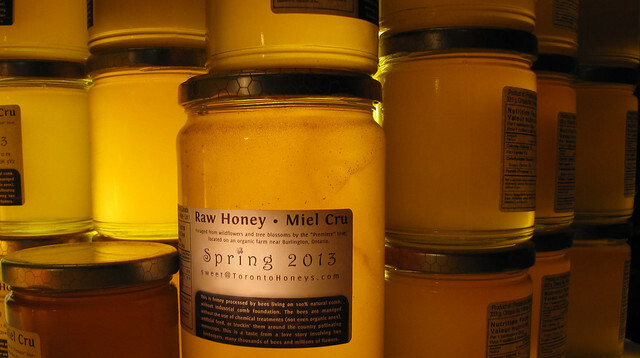 I've added these to 5 hives for the 2015 season. I'll update here once I decide if the experiment was a success or a failure. Yellow jackets can be very persistent in wanting to enter the hive, but the bees are usually a little ahead of them in building up their numbers and are able to defend the hive entrance. 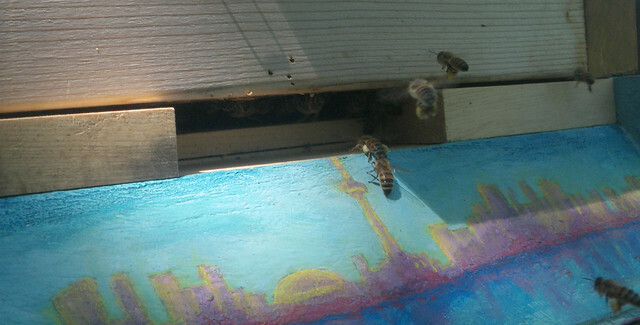 If the hive is a little weaker or you find many wasps are easily gaining access to the hive (I wouldn't worry about the odd occasional wasp briefly sneaking in), you might consider reducing the entrance down to make it easier for the bees to defend. In situations where it feels like a hive is really under attack, or it becomes impossible to perform inspections without large gangs of wasps appearing, wasp traps can gradually reduce the wasp numbers around your hive. I'm not proud of this, and dislike using them, so it's only something I've used reluctantly in situations where I felt it would prevent bees from suffering. The trap in the video above is simply a water bottle top cut off and placed back into the bottle upside-down. 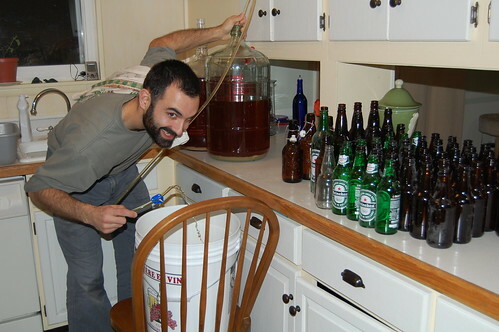 This creates a funnel entrance into the center of the bottle. Any wasp that enters will have difficulty finding this entrance again. As the transparent bottle lets light in through the sides, this is where they search for an exit. The bottle can be baited with a fermenting sugar or meat so wasps will be attracted but not bees. You will probably see evidence of the nest on the bottom board as well. 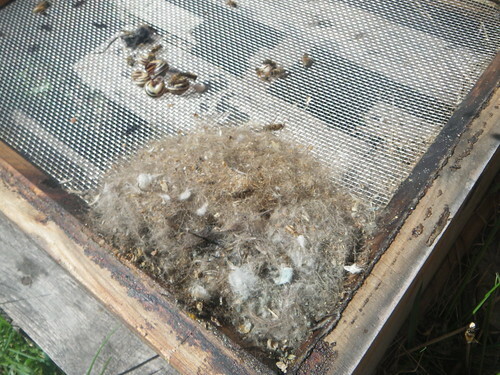 If you are using a screened bottom board, there is a good chance you can determine if you have a mouse just by looking at the tray under the screen for mouse droppings and fallen nest material. It's said that mice will often move out as it starts to warm up and the bees become more active. 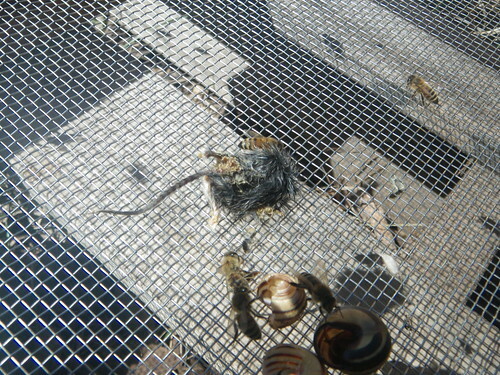 If not, the bees can attack the mouse and you may find the remains (possibly propolized) within the hive. 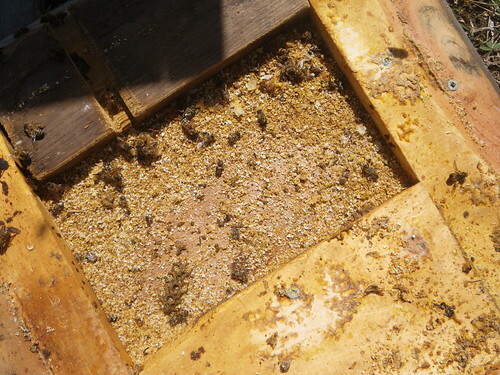 Aside from the damage to comb, mice are also problematic in the pungent stench of urine that they leave behind in the hive. Shrew's don't nest in the hive, but they do leave behind signs of their visit. You may find droppings that are slightly different than those of mice. There will also be bee carcasses. Shrews eat the bee innards and leave behind a hollow exoskeleton. Most often they get at the innards via removing the head of the bee. 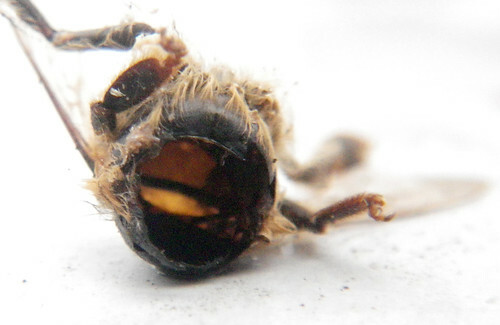 If you do successfully exclude shrews from your hive, you may still find these decapitated dead bees outside the hive. It seems like they will feed on either the dead bees taken out by the undertaker bees, or those bees that leave the hive to die. Shrews are small but they need to eat frequently, over the course of a winter they can take a significant toll on the bee population. Generally the standard wooden entrance reducer is not sufficient for excluding mice, there are many stories of the wood being chewed away to enlarge the opening. For a few years I've seen good results from both simply adding nails to standard entrance reducers and cutting myself thicker wooden entrance reducers from 1.5" wide wood. Was I just lucky? It's very popular to make or purchase metal excluders with holes drilled into them. The use of hardware cloth as a mouse excluder is not uncommon either. The openings beekeepers use for a mouse excluder are sized between 1/4" (6.35mm) and 1/2" (12.7mm), with commercial products typically using a 3/8" (9.25mm) diameter circle. 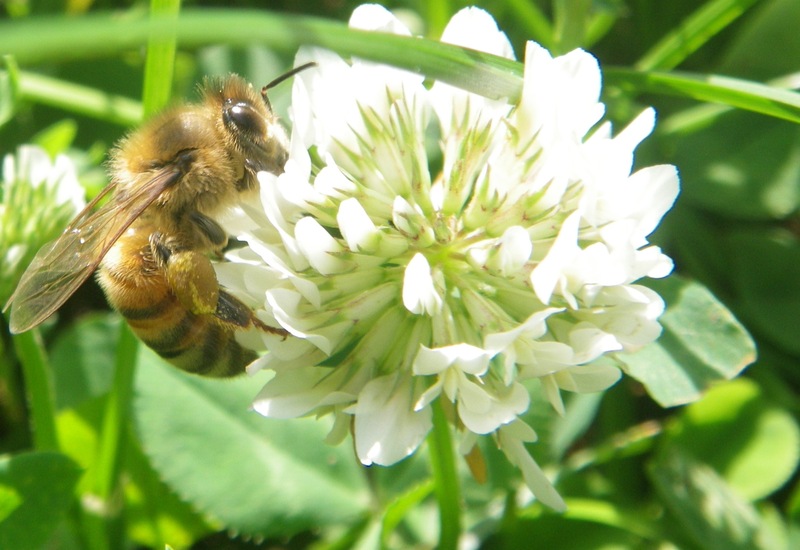 There's a fine line between leaving enough space for adequate ventillation, allowing bees to remove the dead, and to bring pollen in during the early spring, while still securely preventing mice from entering. There's lots of debate as to whether a 1/2" gap is sufficient to keep the mice out versus 1/4" making it too difficult for the bees to do everything they want to do. As far as the 1/2" camp goes, there are some beekeepers who claim to have not had a problem in 40 years. There's also some references from mouse owners using 1/2" mesh cages for adults (but many in the mouse world do seem to cite needing 1/4"). 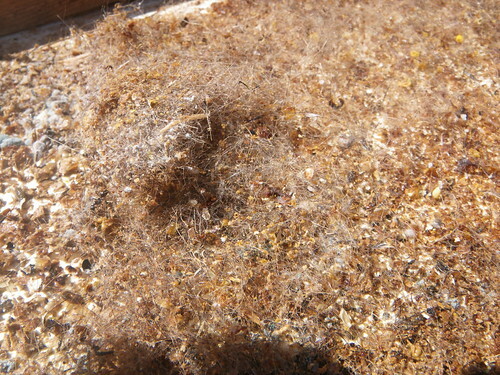 Are their regional differences, like species of mice, as well as how likely it is to find smaller, younger mice at the time of winterizing, your hive? 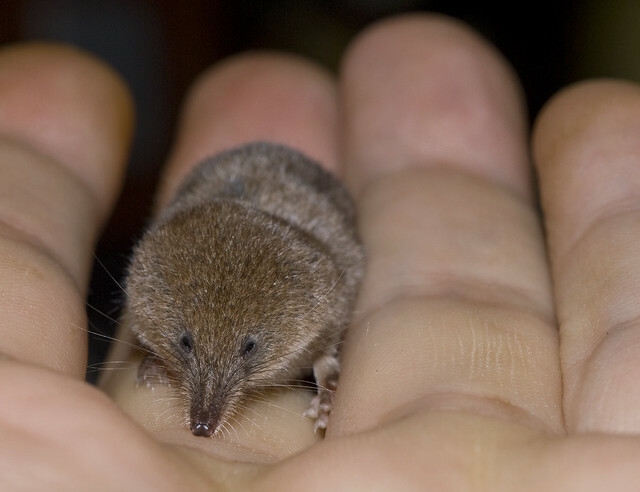 I haven't found as much info out there about shrews. 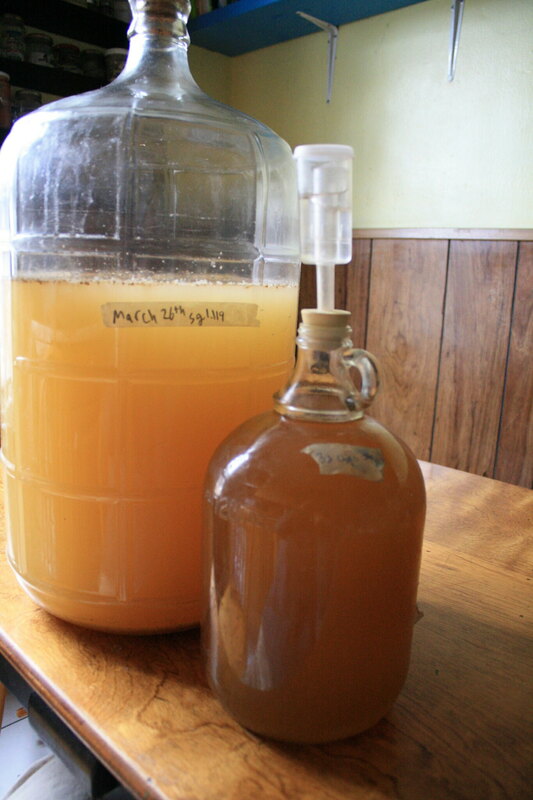 There is reference online to Fletcher Colpitts, Chief Apiary Inspector of New Brunswick citing the use of both 1/4 and 3/8" spacing for winter and then switching to 1/2" once there is spring pollen. Anecdotally, I can say I am finding beheaded hollowed out bees this year outside, but not inside of the hive in the photo above which is using 1/2" mesh with the vertical opening height made slightly smaller as it overlaps the wood of the hive. I take that to be a positive sign. Melting in soft water (like rain water) if preferable. 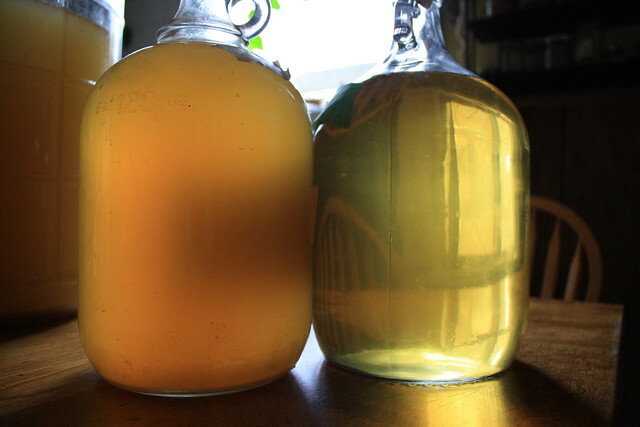 Acidifying the water with something like 0.1 % vinegar can protect the wax. wax heated in a container made with iron, brass, zinc and copper in it may cause a reaction that will discolour the wax. Stainless steel, aluminum or enameled steel, tempered glass & ceramic pots should be okay.